Do you want to have an elegant-looking bedroom? Do your bedside tables complement the design and layout of your bedroom? If you want to have a home that exudes style and elegance, you have to definitely check the Florida Decor magazine. This magazine specializes in home remodeling and improvement. It showcases designs and furniture that are of the highest class and style. 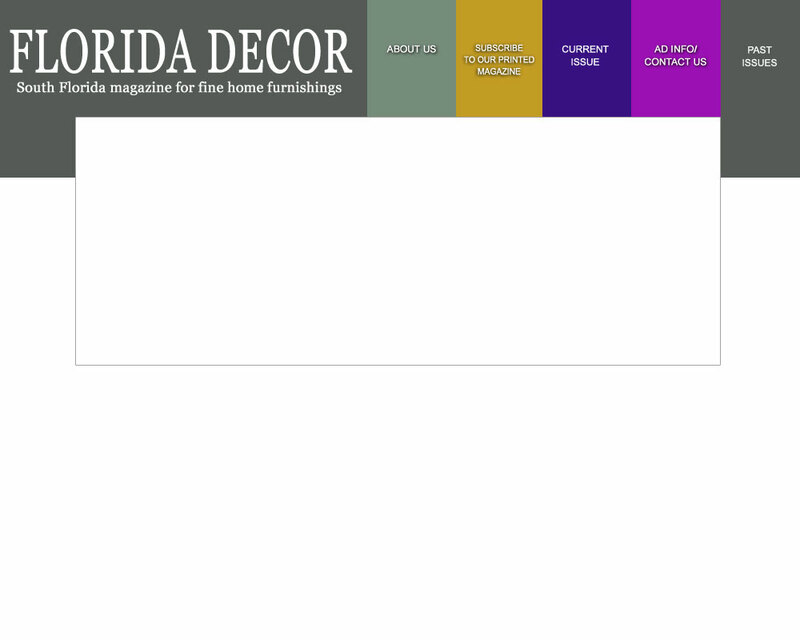 So if you want your home to look perfect and classy, the Florida Decor magazine is for you! Welcome to Florida Decor. Our goal is to present you with a Florida Decor magazine specializing in upscale South Florida Home Decorating and Licensed ASID Interior Designers, South Florida Furniture, Lighting, Fabric and Window Treatment, Kitchen and Baths, Furniture, Interior Designers, Home Remodeling, Home Improvement, Flooring, and more! SO MAKE SURE YOU LOOK FOR US AND FIND THE BEST IN THE FOLLOWING AREAS: Custom kitchen remodeling, decorating tips, furniture stores and interior designers located in Ft. Lauderdale, Hollywood, Davie, Dania, Parkland, Pompano Beach,Miami, Aventura, Bal Harbor, Boca Raton, and South Florida. Also read us for marble granite tiles, leather furniture, furniture, window treatments, interior decorators, kitchen remodelers, fabric for furniture, ASID Interiors Designers, south florida home improvement, interior design ideas, kitchen and bath remodeling and fine furniture. Just click on the links below to visit the page, which features the showcased homes in that issue of Florida Decor. "Plantation Home Sparkles with Elegance"
"Famous NFL Player's Hawk's Landing Home"
in Hollywood Oaks, Hollywood, Fl. Transforming a 70s home into a modern palace.